Container overfill or container empty can cost OEMs time, money and aggravation during certain processes. When containers are closed or inaccessible, OEMs rely on point level measurement sensors, combined with remote alarms and/or pump controls, to detect liquid high/low levels. 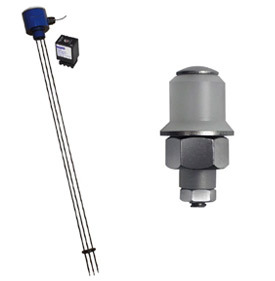 Madison Company’s well-known point level switch technologies include conductivity sensors, optical sensors, and float switches with reed switch technology. Madison conductivity switches offer the advantage of no moving parts, making these ideal in environments that would cause a typical float switch to stick or not operate. Applications include semi-solid liquids, slurries, and heavybodied liquids. Madison’s industry expertise is not only in the manufacture of high-quality, conductivity sensors, but also in the recommendation of the proper conductivity sensor type. Madison’s trained experts will consider fluid composition, chemical compatibility, container size and shape, agitation and by-products (foam or vapor), level range and required 3rd party certification(s). If a standard conductivity sensor will not work for the application, Madison can custom engineer a solution in as little as 4 days, once the requirements are established.